Sign up and receive Property Email Alerts of Houses for sale in Arabella Golf Estate, Kleinmond. Live the dream in Arabella, one of South Africa's most sought after golf estate locations. This stunning 3 bedroomed home with uninterrupted views over-looking the fairway and the Botrivier lagoon has it all! Take a dip in the pool which is in the beautifully decorated courtyard. Relax at the pond with its waterfall feature or entertain your guests in the spacious outdoor braai area. The enclosed patio with its large windows invites you to enjoy the magnificent views down to the fairways and the lagoon or enjoy cozy moments in front of your fire place on a cold winter's day. The house offers 3 bedrooms, all en-suite with underfloor heating in 2 bathrooms and a fully equipped kitchen with granite tops and scullery. The lounge/dining area with lagoon views follows a light, open living concept. This house with its prime location in a secure environment is extremely well priced. So, don't delay, make that call today for your private viewing. Arabella Golf Course has consistently been ranked as one of South Africa's top 10 golf courses, and having this estate as your address is something really special. The Arabella Country Estate is situated in the heart of the Western Cape's Overberg region. 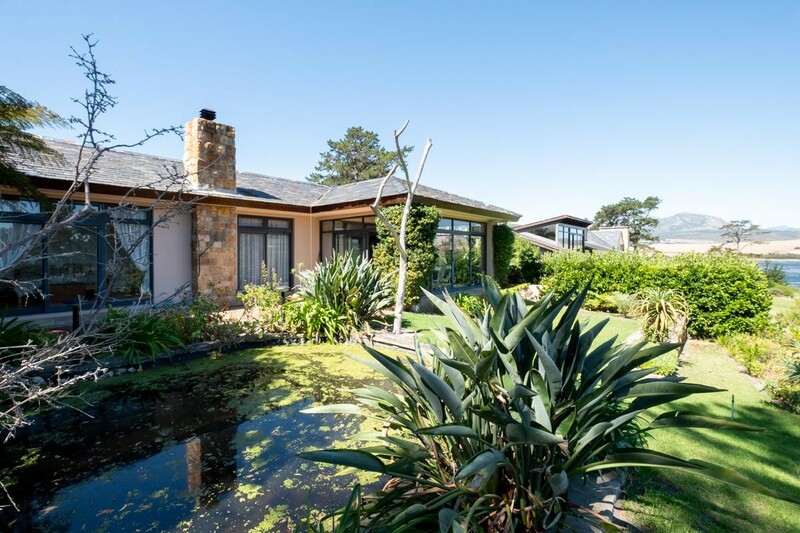 The secure estate is located close to the small seaside town of Kleinmond and 25 kilometres from the popular holiday town of Hermanus. Sign-up and receive Property Email Alerts of Houses for sale in Arabella Golf Estate, Kleinmond.